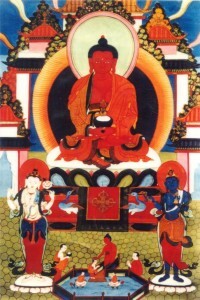 Being in Samsara we have to endure the four sufferings: that is, being born, growing old, being sick and finally dying. As we have already been born, the first suffering is over. Now we have to face the three sufferings which follow. We grow old with each second, each minute, each hour and each day. There is no stopping it. No matter how we try with different modern methods, we cannot delay or reverse the process of growing old. We can never make ourselves younger. As we grow, with time, sickness befalls us. There may be many who will help us in this suffering, such as our family members or friends, and many different kinds of treatments. But ultimately we still have to endure this suffering. Then comes death, our final suffering of this life. The biggest mistake that we can make is not to think about it. When death is upon us, no one can help us–not our family members or friends. We alone have to face it. The results of our past positive and negative deeds are laid before us. Rinpoche introduces practitioners to both Nyingma and Drikung Kagyu Phowa practices that will prepare one to face death with confidence. It is the best way to be free from the final suffering of death. 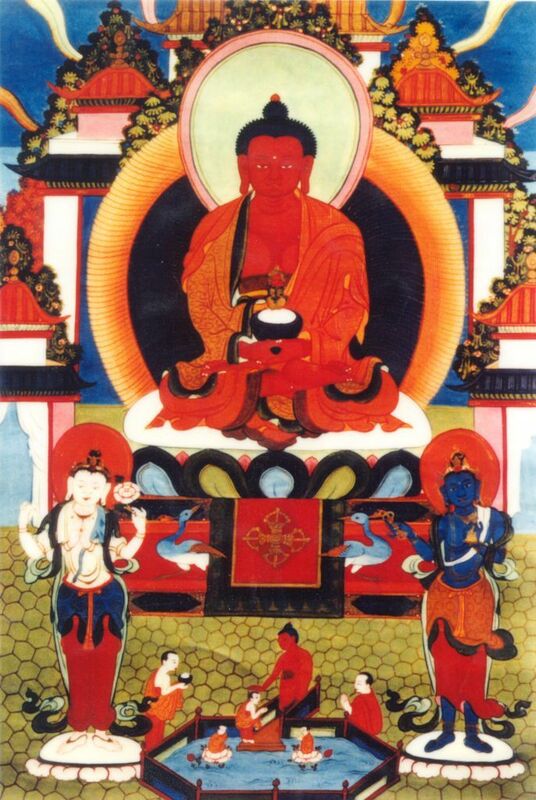 It is the easiest way to reach Buddha Amitabha’s Pure Land, and from there, the quickest way to reach enlightenment. Ayang Rinpoche is a Phowa master highly recognized by many well-known Tibetan Buddhist lamas. Motivated to benefit all beings, Ayang Rinpoche extensively travels the world teaching Phowa.